With winter on its way out and spring’s arrival just around the corner, you may find that you’ve stalled a bit when it comes to working out. Maybe you’re sick of your usual indoor routine or perhaps it’s not quite warm enough to get out on your favorite trail. We’re with you! That’s why we’re excited to feature fitness expert Leslie Sansone, creator of the Walk at Home Fitness Program that promotes walking as a sport for life. Her low-impact workouts, which have been featured on TV and in publications such as Woman’s Day and Dr. Oz’s The Good Life, offer effective (and fun!) ways to be active and burn calories while going easy on your bones and joints. Best of all, you can do them from the comfort of your home! Here, Leslie tells us how her walking workouts (more than 100 DVDs) get you excited to exercise (really! 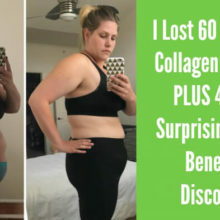 ), when you’ll start seeing results (we were shocked! ), and why she follows the diet she does. Plus, an amazing success story that proves how walking can really change your health journey — even when your family history predicts a different outcome. 1. You are so inspirational. You even have a Walk Fan Club! Do you have any particular success stories from someone who used your DVDs to help improve their health, particularly diabetes or heart health? Stories of inspiring people who have turned their health around is my favorite topic! I have to say, I am spoiled when it comes to receiving these success stories, but I’ve learned that when people feel better, they live better and they want to share that. There’s one scenario that really hit home, though. I was recently in the doctor’s office with a family member that is “trending” toward Type 2 Diabetes and the physician actually prescribed walking 10,000 steps a day for 90 days before turning to drugs — a challenge! (The doctor didn’t know my profession; just that I was a concerned family member.) I can’t wait to see the results when we go back in 90 days, because I know walking works. If you’re wondering why I couldn’t motivate this family member to walk more, it’s because my family is like everyone else’s — they don’t always choose what’s best for mind, body and soul, even if I’m encouraging them to do so. So here’s hoping the doctor’s prescription does the trick. I commend all the amazing doctors that first challenge their patients in this way! Then there’s Eleanor from New Jersey, who’s in her 60s and has a family history of heart disease. She thought she was destined for the same and, like her family members, had been taking cholesterol and blood pressure medication for years. When she read a report about how many diseases can actually be caused by unhealthy habits, she immediately started walking more. She walked away one drug, then two, then three, and now her only medicine is walking. Her health care expenses these days? Walking shoes. Her doctors cheer her on! “It’s amazing what walking can do,” she told me. 2. You talk in your videos about being positive. Sometimes that’s easier said than done. Do you have any suggestions on how to stay positive, especially if someone is struggling with health issues or has a lot of weight to lose? I can definitely relate to that. Staying positive every hour of the day is a challenge and, the truth is, life just isn’t like that. There are so many forces around us that can bring us down. My advice: Put your armor on as early in the day as you can. Physical activity stimulates the most powerful chemicals in our brain to boost our mood — endorphins! So, exercise before anything else can interrupt your positivity and your hopefulness. This is actually more important than dieting to lose weight. In fact, if you just diet to drop pounds, your metabolism slows down because your muscle mass decreases, which leads you to eat smaller and smaller portions just to maintain the weight loss. Frustrating, right? You need that exercise component, which keeps your metabolism going, your body full of energy, your systems (heart, lungs, etc.) in working order, and your mood elevated. If your goal is to lose weight and be in better health, start walking. It’s so simple, but I’ve studied it for three decades and it really is a solution. You can always reassess your eating habits, but many people have told me that after they started fitness walking, they didn’t need to be so strict about their diet after all. 3. Do you have any special diet that you follow or recommend in addition to your exercise program to maximize health benefits? I recommend foods that fuel good health: fresh, whole foods. Eat veggies, fruit, nuts, whole grains, lean proteins. If I had to describe my meals, most are Mediterranean-style: lots of fish, greens, olive oil, garlic, lemon. Just talking about it is making me hungry! Don’t get me wrong: as a girl with Italian roots, I wouldn’t miss spaghetti dinner on Sunday. We can still enjoy foods we love in moderation (in fact, the registered dietitian in my family agrees). I’ve found that people I’ve helped who start a regular exercise routine are more likely to make better choices at meal time. One good choice, like exercise, leads to another, like healthy eating! 4. You’ve been making videos for over 30 years. Has your exercise philosophy changed? Are today’s walking videos different in intensity or type of workout than when you first started? Now that’s a new question for me! My fitness career started in 1980 when I was certified by a group called California Aerobic Dance — we have come a long way since then! But my certification sparked a love for all the ways we can be active and healthy. I started a fitness club to offer group classes, cardio and strength training equipment — all of it! And I studied the latest exercise science and trends to inspire the workouts I created. I still do. How can I use Pilates methods in a walking workout? How can I apply the science behind strength training in a cardio walking workout? My workouts have a core method that doesn’t change because it’s based on the science of how the body reacts to the challenge. But all the ways I create new challenges during the walks is why it’s been such a successful program. 5. For those people who are out of shape or haven’t worked out in a while, how long does it typically take to see results? Instantly! I know what you’re thinking: How can that be true? It is. The second that you put one foot in front of the other in a purposeful way — at a brisk pace and with determination — you start the process of releasing endorphins (your “armor,” remember?) and you instantly start feeling better. Many people report that after just three or four brisk walks, spread out over a week, they start to see their belly lose its “puff” — that’s pretty quick! 6. How do you beat the boredom factor? I take breaks from my normal routine. If the past few weeks have all involved morning workouts, I switch it up to a walk after dinner. If my walks have been more traditional — like an outdoor walk or a treadmill walk — I shift to my Total Body Walks DVDs, which incorporate more upper body and core muscle movements than traditional walks. I also love to ride my bike and being active in other ways, like playing “speed badminton” (there is such a thing!) with my sons. 7. A lot of people think they have to get their heart rates super high to get a good cardio workout. Do you think your walking workouts can provide the same benefits to heart health as a high intensity run or a spinning class? You’re right that a lot of people — too many, in my opinion — believe that if their heart rates don’t reach 85 to 90 percent of their maximum capabilities, they’re not doing a real workout. Even though I knew you could still get results without pushing to that extreme, I used to aim for that level of intensity too. But walking can be a real workout. Sure, at a slow pace, it doesn’t challenge your body to get stronger, but a short, gentle walk is still burning calories and is better than no walk at all. A brisk walk burns calories, strengthens your heart and lungs and increases endurance. And a speed walk results in big calorie burn and a whole host of health benefits that impact blood pressure, blood sugar levels, cholesterol levels, heart health, bone health…the list is endless. Ready to start walking for your health? We’re giving away Leslie’s Miracle Miles DVD set, her Walk at Home program that will have you looking and feeling your best in just seven days! To enter for a chance to win, please comment below and tell us your reason for walking or how it has improved your health, then LIKE us on Facebook. You must do both to enter. The winner will be notified by email on April 15, 2016. See contest rules. Leslie Sansone dvds may have literally saved my life! I’m like a different person after I do a dvd. Now, it’s time to focus on foods that fuel my body! I LOVE!! Leslies’s walking videos and would love to own the set being offered in the prize to expand my library. I do Leslie’s video walks because our family has a history of high blood pressure, heart disease and diabetes and I refuse to accept this as fate. So, I eat a healthy diet 95% of the time…and any variances are not wild, for example and occasional glass of red wine or a small serving of dark chocolate, etc. I exercise and, in addition, to Leslie’s walking videos, I also lift weights for 20-30 minutes 2-3 times a week, get outside for walks sometimes and I still love to pop in one of my “old school” step aerobics videos now and then. And, when doing Leslie’s walks, I often grab a pair of 3 or 5 lb. dumbbells to hold during all or most of the video. Leslie is so motivating. Her videos are fun and are my favorite way to exercise. Thank you, Leslie!!! I am addicted to Leslie Sansone DVD’s and her overall philosophy of exercise! I walk with her 6 days a week and it has helped me lose over 100 lbs. It feels crazy, but when I’m really tired after working (sitting in front of computer all day), I have no desire to do anything – cook dinner, work on hobby. But if I turn on Leslie’s walking DVD and walk, 15 minutes is all it takes to “wake” up, be energized, and ready to get things done. I love it. Should just tape a note to TV to WALK. I love these workouts! They work! But I let life get in the way and stopped doing them. I just recently lost my mom to diabetes, cancer & other health issues. I saw her struggle to keep moving & I don’t want that for me or my family. I need to get back to moving and good health so I can enjoy life and my new grandson . I walk because it helps me clear my head and keep faith despite all the bad .. Including a sudden forced move resulting in the loss of most items (all leslie dvds i had to boot as well). I got my family to want to walk . my dad who’s had a quadruple bypass, has slowly gotten a bit better. Walking helps motivate me for my kids, helping me keep depression at bay. I once had a cough that lingered as well.. Within two weeks the cough was gone. I was feeling so discouraged about my weight gain and I am not the type of person to go to a gym. So I was so excited when I found Walk the Walk!! I recently had a total hysterectomy and that is when I saw a big change in my body. I started walking 15 minutes a day then I increased up to a 45 minute walk. Thank you so much for being such an inspiration to me because I thought I will never get in shape. I still have a long way to go but I am so encouraged to continue your Walking program!!! Working out to Leslie helps,my mood and energizes me! I really enjoy Leslie’s Walk At Home DVD’S. There is strong cardiac history in my family. I’m 64 year old woman and I’m overweight. I carry my extra pounds around my midsection which I’m told is the worst area if heart health is a concern. My father passed away due to his heart health, so I must get a handle on it while I can. I started walking with the New Uears challenge! My hip pain has decreased significantly!! This interview was very beneficial. Great Job! PS. I love your 3 mile Walk Away The Pounds Home Video…Thank YOU! Jacquelyn: That’s great that you want to start teaching! You will have to check with your local and state agencies about what type of requirements, including insurance you need. Good luck! I’ve started doing your fast two mile walk with 1 pound. weights….I’m curious about how much I might lower my blood pressure doing this program 5-6 times a weekk???? I love Leslie’s DVD’s because they really are doable excerise without having to run to the gym. They are easy to do yet they really make you work all parts of your body. I will turn 60 this year and need something to motivate me .. Leslie can do that. I love Leslie’s DVD’s because they are so doable for me. I have fibromyalgia..diabetes and a bad back. Being somewhat restricted on some days..depending on how I feel..I am able to modify Leslie’s workouts according to my discomfort level and still get a total all over workout. Exercise is not only good for the body…it is crucial for a healthy mind? My body has changed from being too thin when I was younger to be 40 pounds overweight. I also have chronic pain from fibromyalgia. I always start out gung ho with workout dvd’s and eating plans, only to end up crashing on the couch and eating an entire pan of brownies. I need something that helps me feel like I am accomplishing something, but doesn’t absolutely make me pant and not be able to keep up! Walking seems like something ANYONE can do! I have tried other exercise videos that say they are for beginners, but I’m not even able to do the modifiers!! Way to go Leslie! Thanks for inspiring so many people with your videos!! I need to lose weight but have knee and feet problems. Walking is only exercise I can do. I love Leslie’s video she makes walking not seem like exercise! I would like to get the Miracle Miles DVD set, last year I lost almost 45 lbs in 6 months. When I went for my physical in June 2015, I was very disappointed for my cholesterol had gone up from April of 2014, I went on cholesterol med Dec 2013, in April 2014 it dropped almost 60 points because of the meds. I hadn’t lost any weight and my knees were bothering me a lot, it was hard to go up and down stairs ect and so because of that I decided I really needed to lose weight and so I started getting a minimum 10,000 steps in walking on the treadmill and doing Leslie’s DVD’s. For my physical last year I went to my regular dr, after he looked at my blood work he goes have you been taking your meds and I said yes, he goes these numbers are like you are not on medication. I was shocked for I had lost the 45 lbs, plus I am borderline high blood pressure. At the time I was eating healthier and not eating hardly any sweets, hardly ever eating red meats. He increased my prescription, had it checked in Oct and it was a little better. I would love to win the Miracle Miles DVD and see if doing something different helps get my cholesterol under control more. It was very discouraging to lose that much weight and walking a minimum of 10,000 a day to have my cholesterol go up. Dr had no idea why, and to have my blood pressure be borderline high. I have chronic pain issues which make it difficult to work out. I love Leslie’s DVDs! She is so motivating and positive. I really enjoy walking with her! I do not have her Miracle Miles but would love to win! Thanks for the chance. I am walking to be fit , happy and healthy. I have been walking with Leslie 3 years now. I lost 25 pounds and I feel great. I am very grateful to Leslie sansone. Loads of love to her. I love the Leslie Sansone DVD’s and how they motivate you to move more and avoid boredom in activity. Leslie keeps it real and easy to follow and work towards my health goals! I used Leslie’s exercise DVD’s to control my fibromyalgia symptoms, as well as to keep myself healthy in general and hopefully avoid the health issues that my parents suffer from. Walking has enabled me to stay free of prescription medication for fibromyalgia, and that makes me happy! I constantly get every new DVD of Leslie’s that I can find so that I can have a variety to choose from and keep myself healthy and strong! I would love to win. My 30th birthday is a week away and I want to get healthy not only for me, but my two toddlers as well. They deserve a healthy mom! Thanks! I have enjoyed Leslie’s fitness walking for several years, but recently was diagnosed with a condition that significantly increases my breast cancer risk. I have taken healthy living a step further and am now doing Leslie’s more advanced DVDs. Not only have I lost 20 pounds since December, but Leslie’s upbeat regimens have helped me to reduce stress and have a more positive attitude. Thanks, Leslie! I walk for energy, mood lift, better sleep, good health. Leslie Sansone videos motivate me to do it every day! I started using the walk at home system when I was pregnant with my second child 14 years ago and have been walking with Leslie ever since. I know use the walk at home system every week day morning at 4 am before I go to work as a teacher. It helps me stay in shape and get me focused and ready to face the day. I love Leslie’s energy. She is great to wake up with in the mornings. I love Leslie!!! I have almost all her first videos but none that she’s done recently. I used to stress myself out with attempting to always have something set up to exercise, or if I had. No need for a gym or to even stress out about getting there or if you have clean clothes. I can walk in my pajamas if I please! Love her energy and gusto it makes getting through the videos almost effortless (minus the incredible amount of physical effort and sweat lol). I feel like the continuation of physical education is just as importing as starting it, considering the body gets used to things really fast! I would love the new videos to start a new physical challenge with Leslie. I do my videos every single day, two times a day so I would use them a whole bunch!! I’m a busy busy worker bee and volunteer and have always been the biggest fan of the walk in home idea. I’m not the best but am committed to having a healthy future. I am pre-diabetic and need to loose a lot of weight. I have a family that depends on me. I want to be there for them! I would LOVE to win Miracle Miles set!!! Thank you so much for the opportunity! Oh I forgot to add my reason for walking. I need to lose weight for my health & just because I want to be healthy. I’m trying to manage my weight & improve my immune system. I’m asthmatic & have arthritis in my left knee so Leslie’s walk-at-home dvds are just what I need ? I have diabetes and needed to lose weight. I also have PAD so I needed an exercise that I could do at home in case of pain. I found Leslie’s tapes and she has really motivated me to keep moving. I was able to lose 35 lbs. and bring my cholesterol down and blood sugars more even. Now I want to keep the weight off and so I keep doing Leslie’s tapes. I would love to have this latest Miracle Miles DVD plan but it’s out of my reach as I am on Social Security…would love to win it. I am 71 years old and I’ve been able to geet up to the three miles tape. Love her! I’m diabetic and trying to lose weight so I can get off the medication. I also want to lose 60 pounds for ME. Not anyone else. I’ve always loved who I am and never had a weight problem. But in the past few years I’ve put on the weight and I’m not happy with me anymore. Between being diabetic and I’m about to hit my 50’s I figure it’s now or never. Also my daughter who’s 16 today has been doing your videos with me. She has about 20 pounds to go. It’s helping her to lose weight and get movement back. She just had major spine surgery due to scoliosis this past July. So thank you Lesley for all your help. I really need to lose weight. I know it would help with my blood sugar and and the pain in my joints. They say walking is the best exercise so this program may be my answer. I just started walking a few months ago. It has helped me have more energy and lose a few pounds. I really like walking with Leslie’s workouts. They make walking fun. I started doing walk at home to better control type 2 diabetes. Plus I needed to 185 pounds to get to a healthy weight again. I have tried so many programs to lose weight,they didn’t work. But the program is working. Now I just need control how much to eat to help with the weight loss. I have been walking with Leslie for almost a year and have lost 47 pounds! Who knew exercising would be this much fun, I get out of bed at 4:45 every morning to walk and makes for such a better day. Since I started, I have also been able to stop taking my anxiety medication since walking helps maintain your stress levels and makes you SO much happier! I still have a ways to go but I look forward to every step to health and happiness thanks to Leslie and her walkers! ???? I have tried every exercise program and the one that helps with my weight loss is walking. When I found the leslie sansone workout out tapes it just all started coming together. It was the perfect fit. For several years, I have been working out with Leslie Sansone’s DVDs and videos. I really enjoy it. But I have kind of slacked off, and now I need to tone up again, after losing 40 lbs. Thanks for the inspiration Leslie!! I have used Leslie’s dvds in the past – have not been doing anything for a long time now and as a result I’m even farther than I’ve ever been from the life I want. So.. it’s time to go after what I want, after turning 40 in the fall, I’m ready to stop making excuses and to go after what I’ve wanted all my life. Let’s go Leslie! I’ve been using Weight Watchers to lose weight and walking as much as I can. I try to get other forms of exercise such as Eliptical machine, treadmill, and Bowflex. It wasn’t until recently at the Weight Watcher meetings that we were doing 5 minute walking stints. I found that even with Osteoarthritis in my knees, I feel great and have purchased a dvd from Walmart and have been using that. Leslie Sansone is truly an inspiration! I plan on combining Weight Watchers and the Walk at Home dvds to achieve my weight loss goals!! Thank you Leslie!!! Leslie has changed my life. I never enjoyed exercising until I found Walk At Home DVDs. I have lost 50 pounds largely due to my obsession with these videos. I started with 1 beginners dvd and Im now the proud owner of 25 Walk At Home dvds that I mix and match. I Walk At Home from 1 to 2 hours daily and the time goes by so quickly plus it is so much fun. Im a fan! I have been walking with Leslie for at least 10 years now, love the videos, she is so inspiring, and caring, makes me want to keep moving on! I walk for weight loss, and for meditation, it’s a great way to really think about your life! When I was an infant, Dr. Jonas Salk’s polio vaccine was introduced to the population. After being among the first to be inoculated, sadly it gave a slight case of polio to some children–including me. (My left foot was affected.) Happily, after successful treatment and wearing braces along with special shoes until I turned 12, I was a very active kid who loved running and P.E. in school. Now as I’m aging, my left foot is (was) regressing and my choices of exercise are (were) limited. But I’m finding that doing my Leslie Sansone walking exercises–on carpeted flooring in my home so there’s no jarring or pounding–plus the variety of moves such as stepping side to side, step-touch, step-touch, etc., that my tendons and ligaments have strengthened to give me back better balance and mobility. I am now able to get back to doing cardio (with Leslie) that gets my heart rate up! I feel blessed to have found a virtual motivator that keeps me coming back day after day with doable, FUN exercises! I work at home so I spend a lot of time sitting. I have been working the DVD’s and I notice that I can now walk further when I go out and I have lost a little weight. I love the easy DVD’s. I’m no longer working so they keep me moving every day. I started walking because I needed to exercise, but it needed to be low impact due to bad knees and back. I use Leslies videos because they can be done in my home and they are a step above just walking. Plus, Leslie is so motivating. I’d love to try these new videos. As a mother of three and a first year special ed teacher, I could really use this. I have difficulty finding time to exercise and my kids always want to do what I am doing. I figured it’s an activity we can all do and get fit at the same time. When I do walk, I feel great! I would like to be able to get fit and be a role model to my kids. I was diagnosed with diabetes in 2008 and was terrified and didn’t know what to do.I bought a DVDs of Leslie’s. I weighed 227 pounds. I’ve been using her DVDs since I lost 100 pounds and have kept it off all these years. I do the DVDs 5 days a week for about an hour to an hour and a half. Don’t know what I would have done without Leslie’s help. I love her workouts. They are great way to stay active. But, it wasn’t until recently that I started getting serious about weight loss because of recent health concerns. In the past several months I’ve lost over 40 pounds by doing her videos daily paired with a healthier diet. I’d love to have a chance at winning her newest one. Thanks Leslie for helping me improve my health and keeping me motivated. It’s working! Just started using Leslie’s routine this week. Never would have believed I would feel the effects so quickly of just walking. I am a believer! I walk to relieve stress, to get my heart pumping, to escape into nature! I have tried a lot of workouts but walking is the only thing I have done consistently. You can do it anytime, anywhere and it always makes me feel better when I complete a workout. I absolutely adore Leslie and she keeps me motivated! I have been walking for 4 yrs. Now that I am my mother’s caregiver my walking is limited. I heard so much about your DVD’s. I decided to see if my local library had any copies. I was in luck and love them. It is the best thing I have done. Your Dvd’s keep me walking. I started a walking challenge about 4 weeks ago. I committed to walking at least 30 minutes a day. I have not missed a day yet, have walked in all kinds of weather. It feels good to walk, I have more energy in my day, and it is helping me in my weight loss journey, not to mention my clothes are getting looser too! I have been using Leslie’s walking workouts for years. Due to a lot of my health conditions it is important to keep moving but I can’t do anything too strenuous. Her walking workouts are so perfect for me! Thanks for the chance to win! I love to follow Leslie Sansone’s walk away pounds because it is the easiest way to achieve good health in my opinion especially being here in Canada during winter months no need to head out anywhere. I alternate between 3 miles, 4 miles and 5 miles. Had to stop exercising for almost two years due to bad health but now I am back on track again. Thanks to Leslie I feel good nowadays. I am a (several) heart attack survivor. I walk to keep my heart muscle in shape and to be strong. This helps me survive heart attacks. I love Leslie’s DVD’s but my two favorite are the 4mi Fast & Firm and Punch Up Your Walk. I remember watching Leslie’s first infomercial with Jackie Zeaman from General Hospital. I would greatly appreciate being the recipient of this awesome giveaway! Best of luck to all who enter? I am on a weight loss journey and first experienced these videos at a Weight watcher meeting.?? These videos would help me as I have issues like bad knees, asthma, RA, OA etc… ? ?And these videos allow you to workout in ⛈❄️?bad weather. They also will help raise your endorphins and make you feel good! ? I love her videos and started with just a mile and worked my way up get all around wark out. I would love a new set of tapes. I still have the old vcr tapes. Would love to be up to date with everyone else. Need to start walking again. I’m always amazed at how even just a mile walk helps with stress and anxiety. Love Leslie’s walking workouts! They have helped me lose weight and get fitter, she is so positive and I now do a 3 or 4 mile walk every morning first thing before work, sets me up for the day! I have been walking with Leslie regularly since 2010 (off and on before that). In 2010, I was diagnosed with a rare form of cancer, a liposarcoma. I underwent 35 radiation treatments and surgery. Walking with Leslie kept me from feeling so fatigued, and kept my joints moving. I recovered more quickly, and was able to regain nearly 100% of the movement in the affected arm. Since 2010, with diet and Leslie, I’ve lost 40 pounds and kept it off. This is awesome!! I have never actually heard of Leslie and so this is exciting for me! I’ll love any product that Woman’s Day endorses!! I served as the Ambassador for the Woman’s Day Live Longer & Stronger Challenge that helps women to improve their heart health. I was asked to do this after being chosen for the program and losing 143 pounds. I was on the cover of their February 2015 issue. I have since had a baby and love being a mommy. With that said, I’ve gained some weight and find it hard to get out with my baby in the cold, rainy weather where I currently live. I am liking for ways to vary my at home workouts. I try to get 10k a day and often fall short a few days a week. Having these DVD’s would help me tremendously!!!!!!! I’m always trying new things and posting them on my Indtagram feed. I’m sure theses would be great to tell others about too. I believe in walking and all of its physical and emotional benefits. I hope to get walking with Leslie soon! I did walk away the pounds years ago. I really want to feel better and loose weight. I have been changing my eating, not to add in exercise. I am so out of shape, but hope to get better with Leslie and her videos. leslie is the best! she makes you feel like you aren’t even exercising and the time goes by so quickly! I love my mp4 player……..good luck to all! Years ago, as a teen I did Walk Away The Pounds on vhs when I was at my friend’s house. It was her mom’s and we initially thought it was so silly…but it ended up being SO fun! My prime reason for exercise is not for superficial reasons; i.e to lose weight (although that is a plus!) I walk because I have had depression for many years (coupled with moderate anxiety) and it really gives me a sense of accomplishment. The endorphins released from exercise are NO JOKE and help me feel better, and sometimes all that effort that it takes me to muster up to just MOVE is worth it. Walking or exercising with a friend is a double boost for me. On a low note, I just moved to a new town where I know only a handful of people…and I no longer have my group of active friends who gave me the pushes that I needed and that has been a real struggle for me. I have some real roadblocks to overcome, but I’m sure with time it will get easier! I just started Leslie Sansone walking from home and its been a week and a half and I am feeling better already. I am 34 and have 3 kiddos under 7. I have high blood pressure, joint pain, and been recently diagonsed with osteoarthritis. I realized if I don’t get up and do something about my weight I will not be able to walk on my own by 40. I want to be able to keep up with my kids, because they don’t understand mommy is hurting. I just want to Thank Leslie Sansone for this program, I know she has saved my life! I walk because it feels good. I love Leslie Sansone’s videos because she makes it fun! I’m in my 70’s and have type 2 diabetes. In early March I was told to come back to doctor’s off. in a month and if my numbers didn’t improve then insulin would be next step. I’m on 4 oral meds for it now. I started walking that same day and when I went back on April 4, my numbers were down some. He was pleased and said he wanted me to walk 2 or 3 miles a day and if my numbers come down in May that he is going to start reducing my oral meds. I’ m walking and am excited to see what happen next month and the next, etc. I have lost 5 stone so far just by walking and making healthier food choices …. Walking makes me feel so much better and is easy to do. Leslie Sansone has given my walking a whole new energy and I love giggling along with her workouts. Thank you. For over a year now I started using Leslie’s videos and walking outside 2-3 times a week and have lost 50 lbs. I feel so much better! I used to walk all the time when my health problems started I had to quit for awhile. Just started going back even though its slow I love it. I started walking at the beginning of the year. I want to lose weight and be healthy! Walking is low impact, helps me to settle down after a bust day and keeps my body flexible. Walking helps my husband and I stay healthy and improves our relationship since we do it together! Walking has improved my overall health tremendously. I don’t like to run because it hurts my knees, but fitness walking keeps me healthy. It helps my arthritic joints. I love Leslie’s DVD workouts. Hi, started ,4 weeks ago doing Leslie’s 4 mile workout on you Tube and have already started to notice a difference. My knees used to crunch when I first started this work and know they have become stronger they do not crunch, I forgot to say that I do this 4 mile workout 5 times a week and really enjoy it. Only started using a Leslie Sansone DVD about 2 weeks ago. Thank you . Finally found something doable and fun at the same time… Love your laugh Leslie ? I started to help with weight lost and to strenth body overall. It has help me reach my first goal of twenty pounds. It also makes working out alone not so lonely. Within a year, I have had two total knee replacement surgeries. As soon as this last knee is healed well enough, I need to start walking again for agility and weight loss. I also want a healthier lifestyle. I began my weight loss journey in Jan. 2013 and chose a 1 mile Walk Away the Pounds video to do my exercise to. I did it every day for a month and then moved to the 2 mile workout. I have worked my up to doing the 5 mile workouts during the fall and winter months when it is too cold to go outside. When it is warm, I LOVE to go outside and walk or RUN 5-6 miles. Yes, I went from walking to running my miles. It took time, determination, and perseverance, but I am a living testimony that you can lose the weight by eating right and exercising. I lost 100 lbs and I owe it all to Leslie Sansone because I don’t think I would have stuck with exercise if it hadn’t been for her DVDs! To maintain flexibility, a reasonable weight, and a good energy level, I must participate in exercise, and that is so much more effective if supported by motivating, even if virtual, companions! I have decided that I want to live a healthier lifestyle. A part of that is moving more. What a way this could help change up my walking habits. I love walking with you, I never get bored. When I start, it’s my time, I walk out stress of the day or start it off on the right step. I came across Leslie’s walking workout video on Youtube when I was looking into exercises I could do in the privacy of my own home, I love to walk but I had a fall and was in a wheelchair for three months then for years after that I was using a wheelie walker when outside and couldn’t get down to the bottom of my street as the uneven path hurt my back. I found I could have the fun of walking with Leslie, of course I couldn’t keep up the pace everyone was doing but Leslie said that was okay. My daughters paid for me to have a hip replacement so now I feel like a bird that has been let out of a cage. Now instead of walking only 2000 steps a day I average 8000 steps and have even reach 10,000 a couple of times. Leslie makes the videos such fun and if I cannot keep up I don’t feel like I have failed. I have a lot of weight to lose so will keep going and even after I reach my goal I will still keep walking. I used to do Leslie’s walks on a daily basis, a couple of months ago I fell and injured my back, so have been out of commission for a few months recuperating. I am attempting to get back on the horse, so to speak and would love to have her DVD’s to get myself back in shape again and lose some of this weight I put on while recovering. My doctor thinks that walking would be a great low-impact way to get back into shape. My father died of diabetes at age 66. Many family members were obese and while I believe genetics does play a part in this life, some of it is plain out poor choices. I may never be thin, I may still die young–I don’t mind seeing God face to face whenever He decides, but I refuse to come to the end of my life feeling miserable and being sick. I started Weight Watchers about a month ago. The lady that sat next to me introduced me to Leslue. She brought me the DVD Walking with the Hits. I have worked up to 2 miles and 30 minutes each morning. This is extremely good for a 56 yr old woman who this time last year was having chemo and could barely walk! Thanks Leslie! I have lost 9.6 lbs ! I love Leslie’s DVDs! I started out being able to barely walk 1 mile and I am now up to 4 miles! There is something in each video for everyone and your workout is what you make it. Leslie is wonderful, uplifting and empowering! Thank you Leslie for your motivation!!!! I have a couple of her dvds and even a few video tapes. I have chronic pain and I find her workouts helpful. I used to use Leslie’s DVDs almost DAILY…until someone in my house decided to put them somewhere different and not tell me! I love her upbeat attitude. I need to get in better shape for myself and my family! I found Leslie’s DVD’s a couple of years ago. I have just recently started back on my walking and have no clue why I ever stopped. I have an 8 month old little girl and Leslie’s is helping me walk off this extra baby weight. I would love the new DVD set.